Gall formers developing in fig ovules. Bouček Z., 1988. Australian Chalcidoidea (Hymenoptera) : a biosystematic revision of genera of fourteen families, with a reclassification of species. CAB International, Wallingford, 1-832 pp. Cruaud, A., Jabbour-Zahab, R., Genson, G., Couloux, A., Yan-Qiong, P., Da Rong, Y., Ubaidillah, R., Pereira, R.A.S., Kjellberg, F., Van Noort, S., Kerdelhué, C. & Rasplus, J.Y. 2011. Out of Australia and back again: the world-wide historical biogeography of non-pollinating fig wasps (Hymenoptera: Sycophaginae). Journal of Biogeography 38: 209-225. Cruaud, A., Jabbour-Zahab, R., Genson, G., Kjellberg, F., Kobmoo, N., Van Noort, S., Da-Rong, Y., Yan-Qiong, P., Ubaidillah, R., Hanson, P.E., Santos-Mattos, O., Farache, F.H.A., Pereira, R.A.S., Kerdelué, C. & Rasplus, J.Y. 2011. 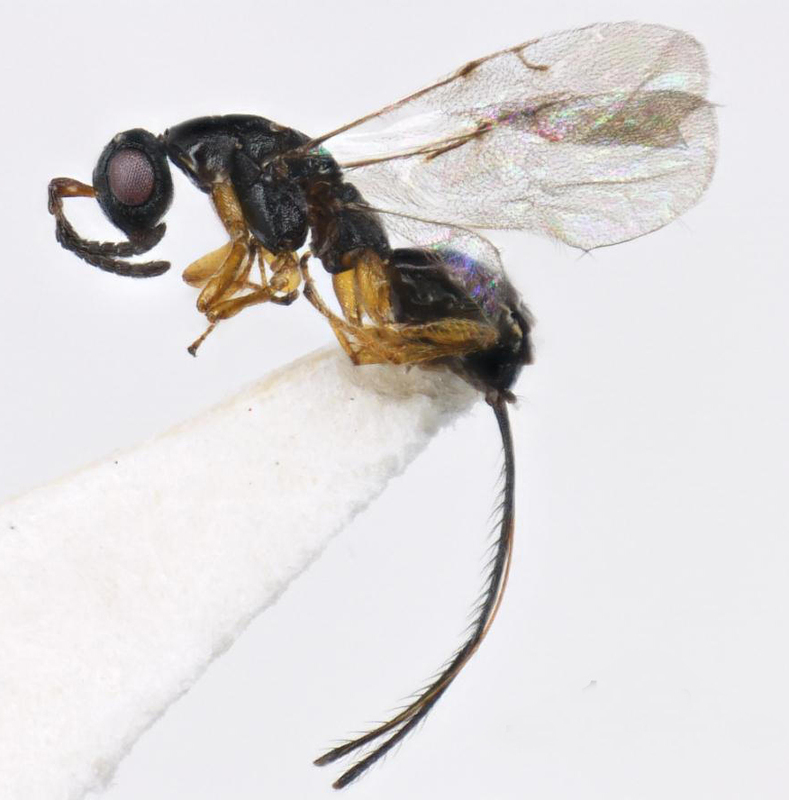 Phylogeny and evolution of life-history strategies in Sycophaginae non-pollinating fig wasps (Hymenoptera, Chalcidoidea). BMC Evolutionary Biology 11: 178. doi:10.1186/1471-2148-11-178. Farache, F.H.A. & Rasplus, J.Y. 2015. Conidarnes, a new Oriental genus of Sycophaginae (Hymenoptera, Agaonidae) associated with Ficus section Conosycea (Moraceae). ZooKeys 539: 119–145. doi: 10.3897/zookeys.539.6529. Girault, A.A. 1927. 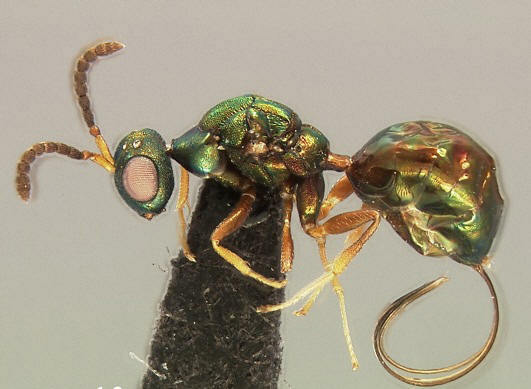 Notes on and descriptions of chalcid wasps (Chalcididae) in the South Australian Museum. Records of the South Australian Museum 3:309-338. Mayr, G. 1906. Neue Feigen-Insekten. Wiener Entomologische Zeitung 25: 153-187. Walker, F. 1875. 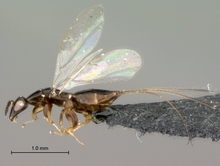 Descriptions of new genera and species of parasites, belonging to the families Proctotrupidae and Chalcididae, which attack insects destructive to the fig in India. Entomologist 8: 15-18. Photographs © Simon van Noort (Iziko Museums of South Africa) or © Fernando Farache (Centre de Biologie pour la Gestion des Populations, Montpellier, France).